FAU Sports Informer: Jarvis get's signed and Pelini shows off his stuff! Jarvis get's signed and Pelini shows off his stuff! FAU's Basketball coach, Mike Jarvis, has been seeking a contract extension from Craig Angelos for the entire 2011-2012 season. And now that the season is over, and Angelos is gone, the Sun Belt Coach of the year (2010-2011 season) has been granted an contract extension by Melissa Dawson, Interim Athletic Director. "We are excited to announce the extension of Coach Jarvis' contract. 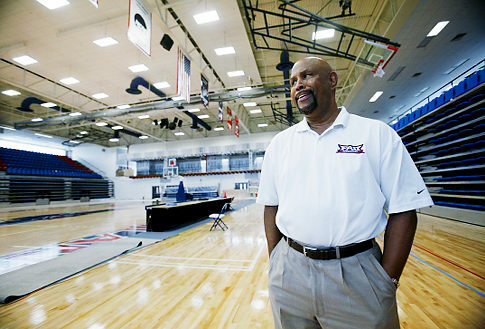 He has transformed our team and created a tremendous amount of excitement about our men's basketball program," said Dawson (www.fausports.com). Jarvis is excited to know he will maintain at FAU for atleast another three years and stated, "With the administration's continued commitment to the men's basketball program, my staff and I will continue to build the most comprehensive and successful program that we can." Jarvis has aquired one of the best acclaimed recuiting classes this year, which will be much need now that many of the former Owls are looking to transfer or go professional. With this hype, there will be much excitement for the future of the Owls Basketball team! On the other side of campus, FAU Football Coach Carl Pelini led his Owls to their first ever Spring Game under the lights of the 'FAU Stadium.' The running game looked very impressive on both sides (blue and white) with Jonathan Wallace rushing for 104 yards and scoring three touchdowns, Tony Moore rushing for 99 yeards (17 carries) and Damien Fortner adding 60 yards in nine carries. The Owls still have some work to do, and the work will only increase when the freshman come in in the Fall and challenge the veterans. 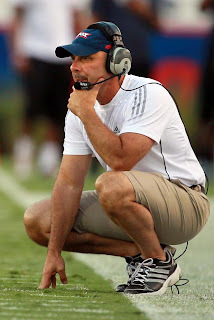 This will be an interesting and exciting year for Pelini and the entire Owl community!